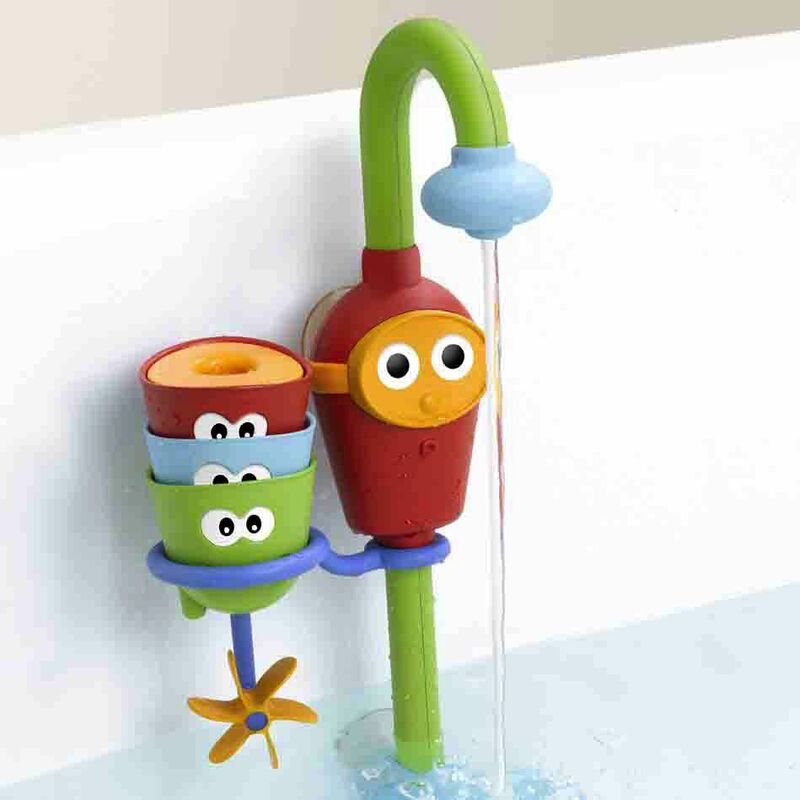 A battery-operated bath spout that easily attaches & draws up tub water that creates and endless stream without wasting water. 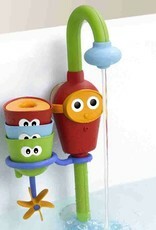 Includes 3 interchangeable bath cups with different straining & spraying effects. Stack cups and watch the water run through! Watch water spin the propeller. Block the crazy finger sprinkler for water squirts. Easy for kdis to use - especially designed for small hands.